When I started out to blog, I decided here that I was going to share ONLY positive news. It was a struggle. I struggled because the bad news overshadowed the good ones and made it very difficult for me. But these days, the good news come staring at me on the face. I'm so happy!!! 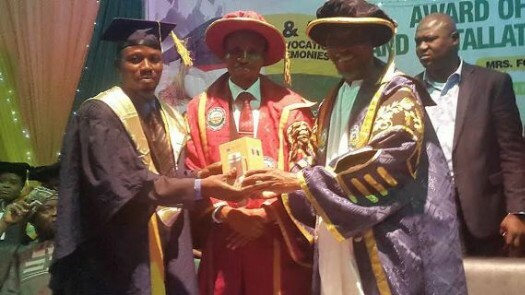 Adeyemo Kazeem who used to make a living as a commercial motorcycle rider (Okada) and was a "consistent carrier" of last position in primary 1-4 has emerged the best graduating student at the 4th & 5th convocation ceremony of the Osun state University. Kazeem rode "Okada" (commercial motorcycle) two years after secondary school to sustain himself. He painfully managed to score the prerequisite 5 credit passes in WAEC examinations. He procured University entrance form (JAMB) with the money he made from riding Okada. 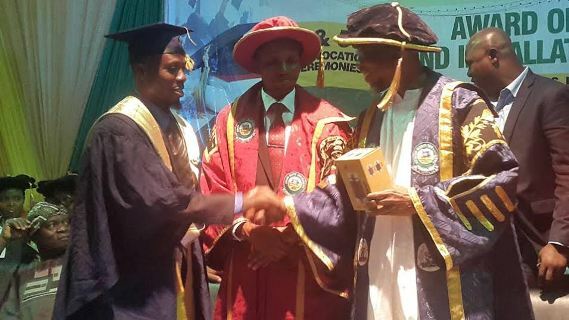 He has become the best overall graduating student from the Department of Civil Engineering. "Ladies and gentle men, here I am, the once Okada boy, as the overall best graduand. The lesson learnt is that we should not let our weak background to put our backs on the ground." So inspiring. What can stop you from achieving your dreams? Go for it! P.S. Even though it seems everything is upside down in the country, this year has seen a lot of ordinary people achieving success (some global success). It's amazing what God is doing. P.S. S. I'm not a news blogger. I am a lifestyle blogger who loves to share real life inspiring stories (mine and others). I am not a fan of fiction.